As part of the annual tweetathon, Inside Housing journalists will be chairing open Twitter sessions on a variety of topics. Major sector figures, including Terrie Alafat, chief executive of the Chartered Institute of Housing; Lord Gary Porter, chair of the Local Government Association; David Cowans, chief executive of Places for People; and John Healey, shadow housing secretary, will face your questions along with tenants and staff from a variety of housing organisations. To take part simply tweet your questions to the panel using our hashtag #IHchat. 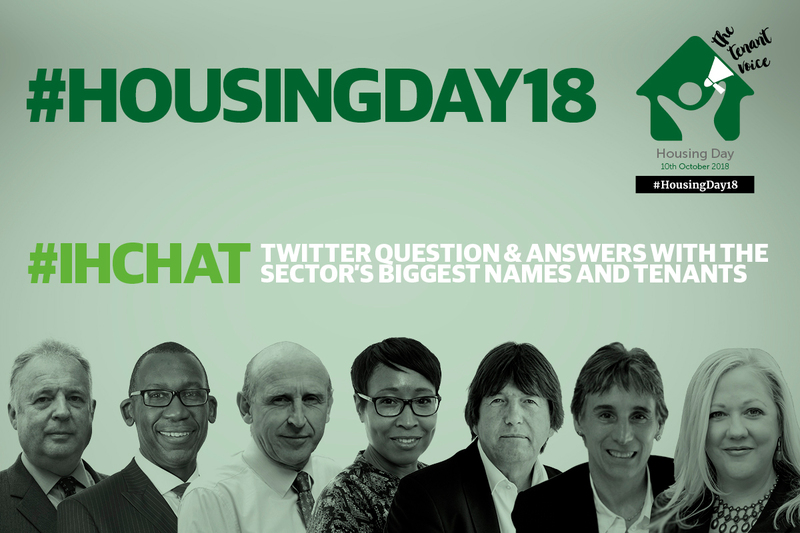 We will also be publishing an exclusive interview on the day with housing minister Kit Malthouse, who spoke with Leslie Channon, Housing Day organiser and tenant of Cottsway Housing Association. In total we are hosting 10 Q&As with 29 panellists throughout the day. #IHchat will open with a Q&A with Ms Channon, who will introduce this year’s Housing Day theme, ‘The Tenant Voice’. This will be followed by a debate with senior housing figures and tenants on the theme of increasing the voice of tenants. Later on we will have sessions on the barriers facing local authorities, combating stigma, improving diversity, services for tenants, creating social value and building the right homes in the right places. We will also be publishing and promoting blogs written by social housing tenants throughout the day. Housing Day celebrates the positive impact of social housing on millions of tenants. Housing staff from across the country share their stories on social media. Scroll down to see the full #IHchat programme. 9am - 9.45am How do we strengthen the tenant voice? 1pm – 1.45am How do we combat stigma? 5.30pm - 6.15pm How do we build the right homes in the right places?